We caught up with the woman’s World Champion wake surfer Raleigh Hager to get her first hand experience riding MasterCraft’s new Gen 2 Surf System. Check out what she had to say about it. What Mastercraft model were you riding on? What does the new surf system do? Makes the wake cleaner & taller. The boat was weighted evenly and not listing that I could notice. What is the wave like on the new surf system? There is no wash at the top, not messy and that helps me see where the wave ends for doing airs. How many times did you utilize the left to right transfer of the surf system? I wasn’t doing any transfers. We were out with Russ Allen from Boat Town in Austin, TX and he rides goofy. He was doing transfers easily. I wanted to see how good the wake was overall on the regular side. Loved it. 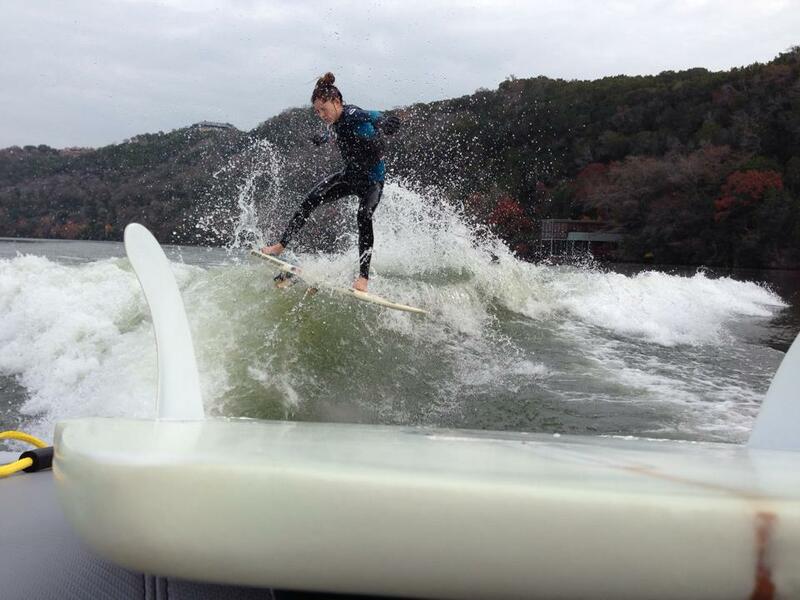 What is more important for you: transfers or a clean massive wake on one side of boat? I just like a clean wake on one side. The MC Gen 2 surf system makes a very clean wake that’s very full with a lot of push. Some wakes are very long, but long isn’t always better. I’m curious to see what it does on the X-10. We love that we can get such great wake out of 21’ boat. I think the X-10 wake was slightly better than the X-30 last year. I can’t wait to see what the new surf system does on the new X-10. Thank you Raleigh for sharing your first hand experience with the new system!